Custom digital repair of spots, dust, tears, scratches, watermarks, remove writing, recreate areas torn away, color correction, contrast enhancement and rediscover details using nondestructive methods in Lightroom and Photoshop. I can work with files you have scanned or original photos you send me to scan. 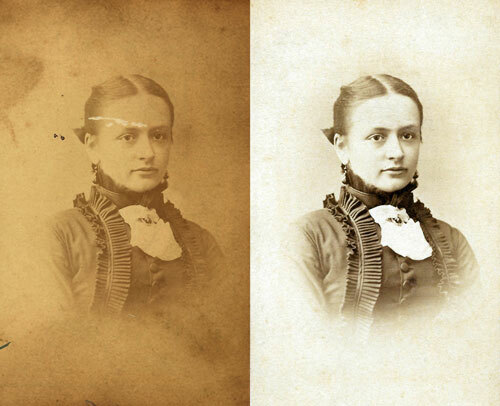 Note that the quality of the final restoration is directly related to the quality of the original scan (as well as the condition of the photo, of course).